We started the week by asking what Porsches you would choose to fill your dream garage given an unlimited budget. If we're dreaming, we might as well dream big! From their it wasn't a big leap to this post. We’ve always felt that movies and cars go together like butter and popcorn. Examples that come immediately to mind for us are the 1981 Delorean in Back to the Future; the 1968 Ford Mustang GT390 in Bullitt; the 1958 Plymouth Fury in Christine; the 1963 Volkswagen Beetle from The Love Bug; any of the many wonderful Bond cars from any James Bond film, etc. Well, you get the idea. Back when we first started FLATSIXES.com we took a poll and wrote a post about the best car movie ever made. If you’re curious, the results of that poll are available for your review. Looking through these older posts, and trying to select the cars to fill our dream garage, got us to thinking about Porsche and the movies. The problem, as we see it, is their just aren’t enough famous movie Porsches. 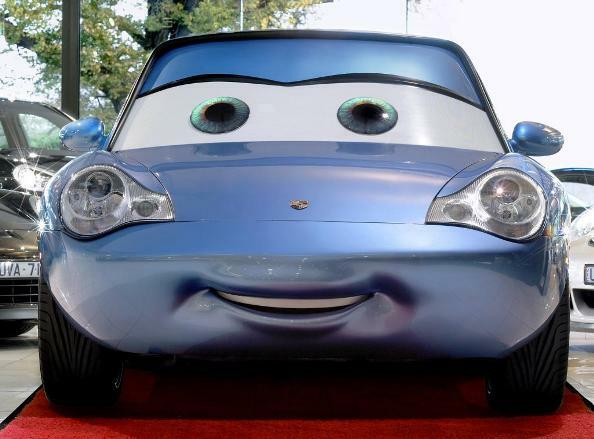 Sure, we’ve seen lots of glimpses of Porsche in the movies over the years, but not really memorable or starring roles. We said it was a short list! We might be missing one or two, but we don’t think there are that many that fit the criteria for this post: memorable or starring. Are we missing any? Let us know. Maybe it’s time for Porsche to do some more work on their product placement? If James Bond can drive a BMW, there’s no reason we can’t see him in a Porsche. Poll Results for "What was the Best Car Movie Ever Made?" That ‘Le Mans’ 917K is to died for. I illustrated it with ‘Mr Cool’ himself, waving to a friend. Uh, a bird told me a Cayenne may be playing a role in the upcoming Transformers movie — unconfirmed rumor, and time’ll tell for sure. Don’t forget Eddie Murphy’s 356 from 48 Hours and Another 48 Hours. Eddie’s 356 is on the list of those Porsches that were “glimpsed” in a movie (see the link in the post above). Same goes with your two mentions. We were trying to think of Porsches that played starring roles in one way or another. Given that, the Bad Boys Porsche is probably a reach, but it’s such an iconic turbo we didn’t want to leave it out. Appreciate the input from both of you!!! Who’s this little bird? Come on, give it up!!! The orange 912 in The Darjeeling LImited. The whole movie is about the brothers going to get Dad’s old Porsche. Thanks! We haven’t seen that yet. Going on the Blockbuster list as this is typed!!! AFAIK, a lot of movie sets use Cayennes to shoot video. Don’t forget the Speedster in Doc Hollywood: Michael J Fox gets stranded in a little town because the “foreign little car” broke down there. I’ve heard that too and actually seen a few of them on a film set. I’ll try to find some pictures. Good example. I’m pretty sure it’s on the list I linked to in the post. Not sure if i would consider it a staring role or famous as a result though? I would have to say the Risky Business 928. Paul Newman as Harper driving an old Speedster,one of the 1st in movies??? i went back and read the article about the best car movies and while I didn’t vote, I probably would have put LM 1st and GP 2nd as others did. But I would have put Gumball in 3rd if for no other reason than the sounds of the engines at various times. The best by far was in a empty NYC when the Daytona and Cobra left the garage and the engines ran through the gears toward redline (I think) and those awesome engine sounds reverberated off the skyscrapers! It reminded me of driving my 911 through a tunnel…. Of course the sound track of engine sounds in LeMans was just as good, if not better. 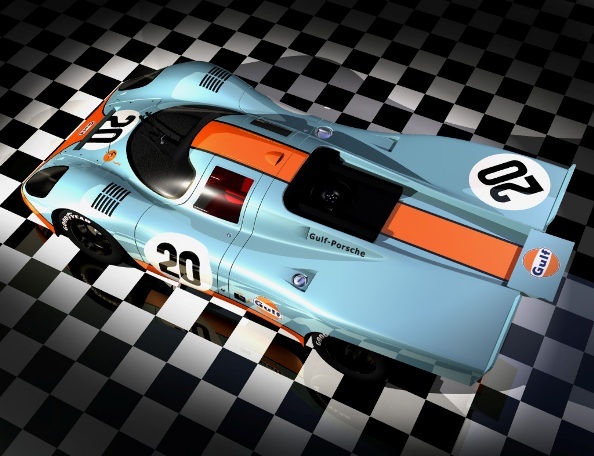 BTW, the director said all the engine sounds during LM were real – if you saw and heard a 917 it was a REAL 917 engine making the mechanical music! Same for the Ferrari’s…. Don’t forget Charlie Sheen in NO MANS LAND. Plenty of Porsches in that one. 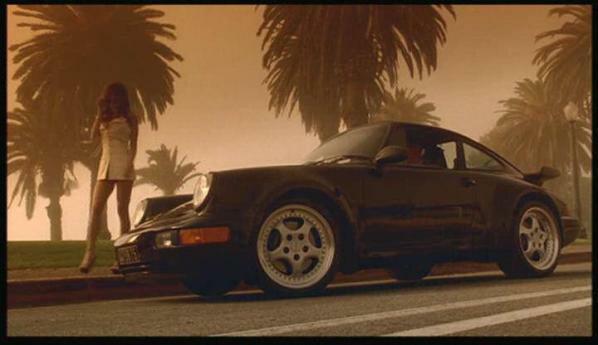 The Porsche driven in bill in Ted movie. Don’t even remember that one. What model was it?